>> Have a look at our website! Fight the January Blues with these Mood Enhancing Foods. And yes you can find them in your favourite Pieminister pies! If the festive season has left you feeling sluggish, glum and in a state of pie-bernation do not fear, we have rounded up some super foods to give your mood the little boost it needs to see you sailing through January with a smile on your face. Chicken is not only protein rich (essential in your diet if you’re fighting the festive plump) but also contains an essential amino acid which the body uses to make serotonin, a mood boosting hormone, melatonin which helps regulate your sleep and tyrosine which can help reduce the symptoms of depression! Who knew the humble chicken was such a mood boosting superstar. You can find your chicken fix in the Freeranger pie (with free range British chicken, ham hock, leeks and West Country Cheddar). Did you know? 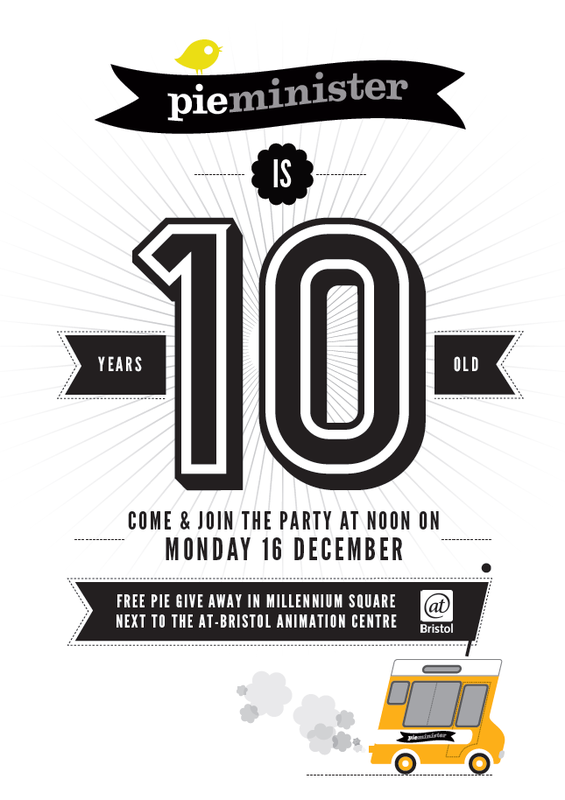 Pieminister is the only national pie manufacturer to use 100% free range meat! The Heidi Pie is a delicious mix of spinach, sweet potato and Somerset goats’ cheese. 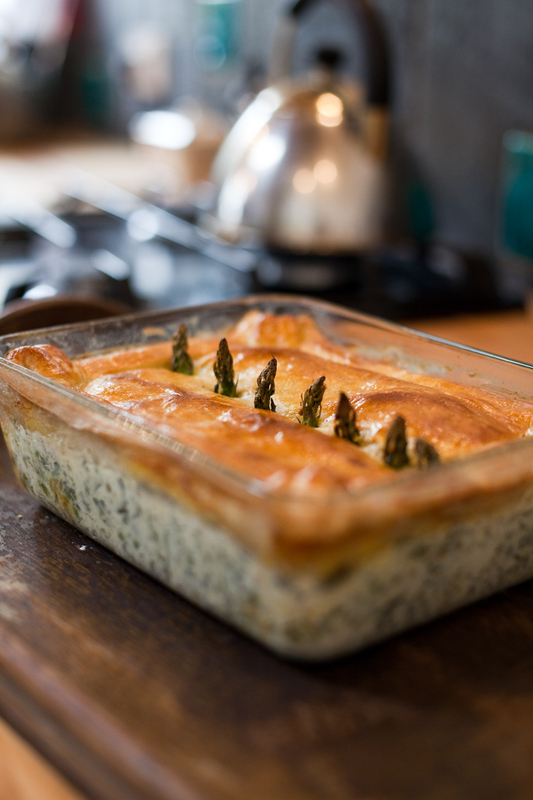 Or try a pile of wilted spinach as an accompaniment to your favourite pie. These super green spears are a great source of tryptophan which helps your body produce mood-regulating serotonin… which in non-gobbledegook makes you feel happy! Asparagus is also packed with a nutrient called folate which can help fight depression. 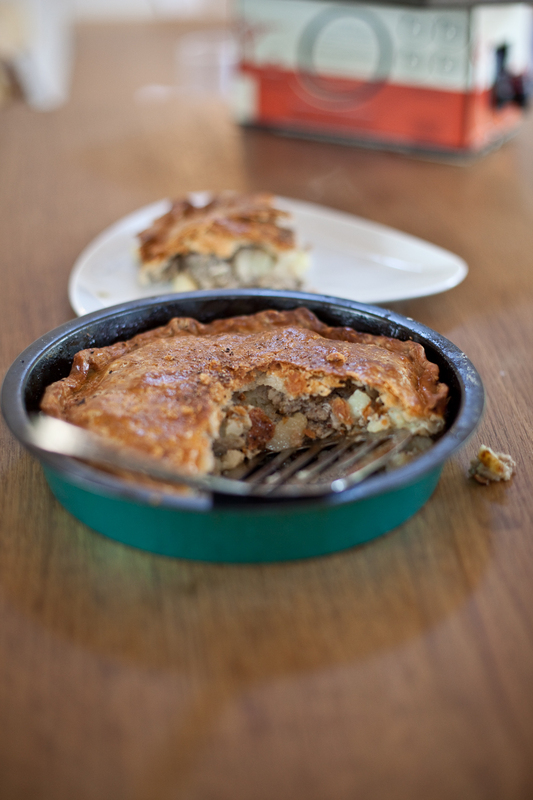 The Wild Shroom pie is full of asparagus and mushrooms in a white wine and cream sauce. Or if you feel like getting out your baking mitts our cookbook ‘a Pie for all Seasons’ has a recipe for an Asparagus, Pea and Ricotta pie on page 48 which is sure to blow away the cobwebs. If you aren’t lucky enough to own a copy yet then drop us a note at hello@pieminister.co.uk and we’ll send the recipe your way. Beetroot is our friend in January because of its ability to detoxify the liver….hurrah! Not only will this brilliant beet help clear out all of the sludge left over from a month of Christmas parties but provides magnesium and tryptophan which help fight the blues. Put all of the ingredients into a bowl and toss together well…simple! (just don’t make too far in advance or the watercress will wilt). 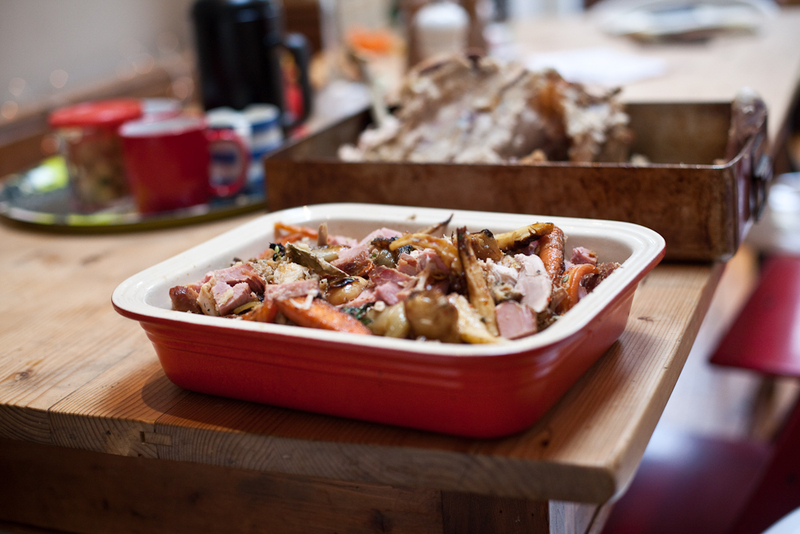 Perfect for Boxing Day, this recipe will neatly clear you out of turkey, the king of leftovers. If you have used other fowl, such as goose, pheasant of swan (if you’re reading this, your Majesty), then feel free to pie them up. First make the sauce. Melt the butter in a saucepan, stir in the flour and cook gently for 2-3 minutes. Gradually stir in the hot stock, then bring to the boil, stirring all the time. Simmer for a few minutes, pour in the cream and bring back to the boil. Simmer for a few minutes longer, until you have a smooth sauce. Stir in the mustard, then taste and season as necessary – if you have used ham stock you probably won’t need any salt. Roughly shred the leftover turkey and dice the ham. Put the meat in a large pie dish with the vegetables and the stuffing, if using, pour over the sauce and mix well so everything is coated in the sauce. Push a pie funnel into the centre of the mixture, if you have one. Preheat the oven to 180⁰C/350⁰F/gas mark 4. Roll out the pastry on a lightly floured surface to about 3mm thick. Brush the edges of the pie dish with a little of the beaten egg. 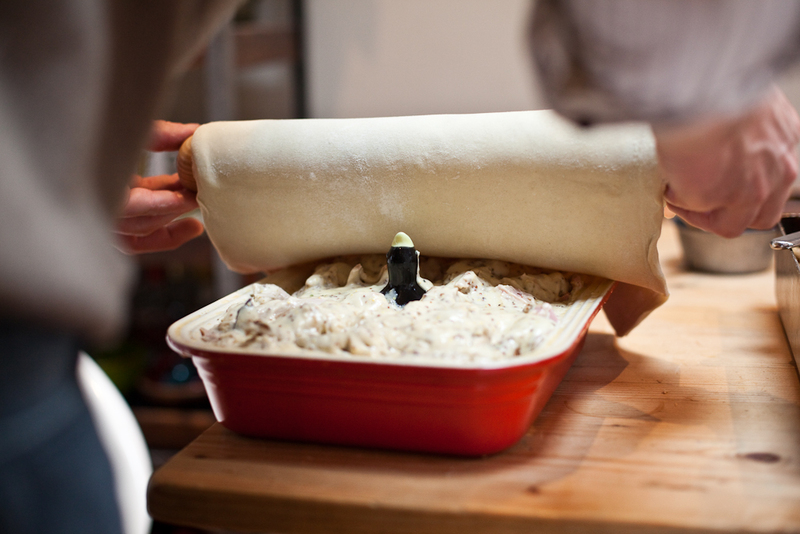 Lift up the pastry on the rolling pin and use to cover the pie. Trim off the excess pastry, leaving a little overhanging the sides, then tuck under to give a neat edge. Press down with your thumb all around the edge to seal. Brush the pastry with beaten egg and sprinkle with black pepper. If you haven’t put a pie funnel in the pie, make a couple of small slits in the centre of the pastry with a sharp knife. Place in the oven and bake for about 40 minutes, until the pastry is golden brown and the filling is piping hot. If you have any cranberry sauce and gravy left over, you could mix them together, heat thoroughly and serve with the pie. 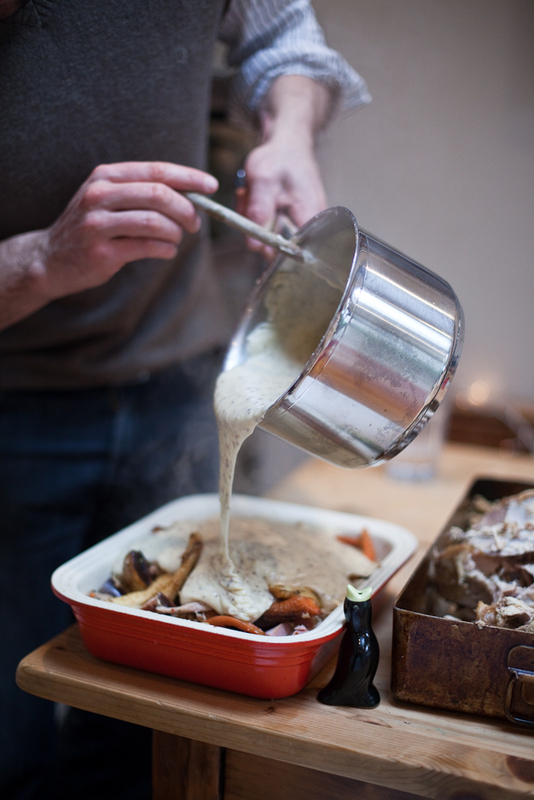 In Celebration of all things Sausage, here’s a recipe from our cookbook ‘A Pie For All Seasons’ for a Sausage, Cider & Potato pie for you to cook up and showcase your favourite bangers. Tristan first came across this pie at a Women’s Institute fête. 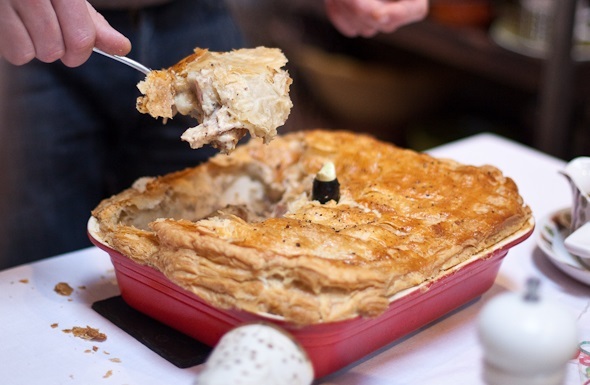 It’s a real man’s pie, he was told – but women will love it too! Cook the sliced potatoes in boiling salted water until tender, then drain and set aside. Melt the butter in a pan, add the onion and cook gently until softened. Stir in the apple and sugar and cook until the apple slices are tender but still hold their shape. They should just be starting to caramelize a little. Pour in the cider and simmer until almost completely evaporated. Stir in the mustard, season with a little black pepper and remove from the heat. Slit the sausages open and peel off the skins. Mix the sausage meat with the potatoes, using your hands to break it up a little. Finally, stir in the warm onion and apple to give a loose mixture. Heat the oven to 180°C/350°F/gas mark 4. Roll out half the pastry on a lightly floured surface to about 5mm thick. 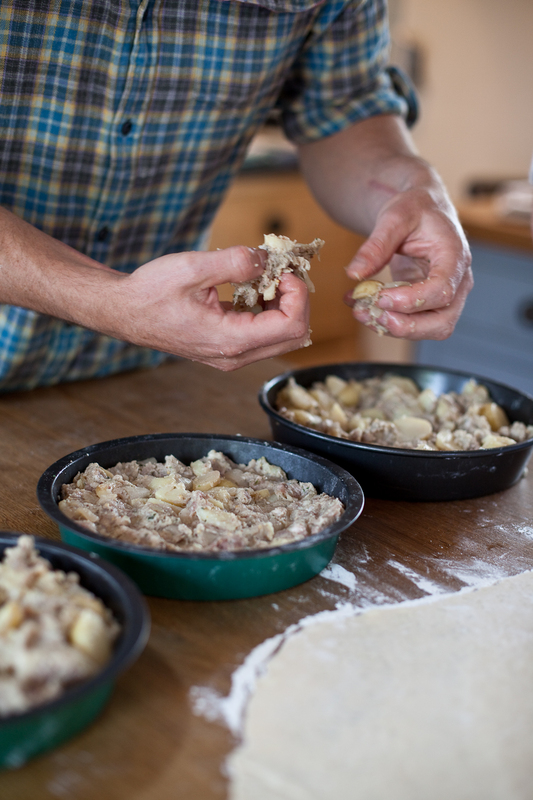 Use to line a pie tin and then fill with the sausage and apple mixture. Brush the edge of the pastry with beaten egg. If you like, you can add the Cheddar at this stage, pushing it down into the filling to make cheesy pockets. Roll out the rest of the pastry to about 3mm thick and use to cover the pie, trimming off the excess and pressing the edges together to seal. 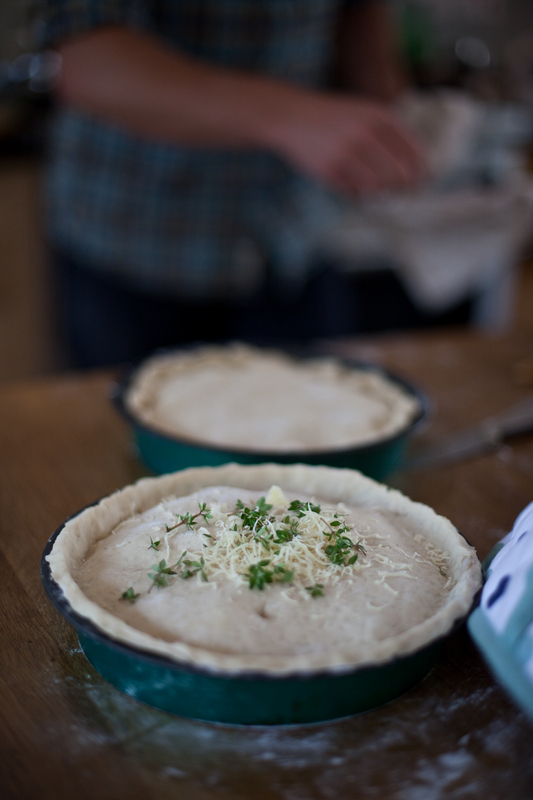 Brush the top of the pie with beaten egg and then make a couple of holes in the centre to let out steam. Scatter the herbs over the top, plus a little grated cheese, if you like. Place in the oven and bake for 40–45 minutes, until the pastry is golden brown and the filling is cooked through – check by inserting a skewer in the centre; it should come out hot. 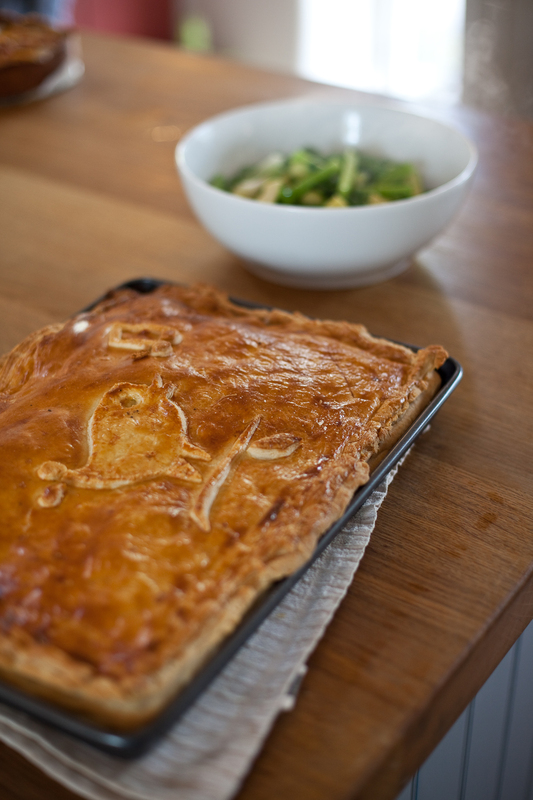 Serve with our brand new No.10 chutney (available from Pieminister shops from this week). We’re giving our cookbook ‘A Pie for All Seasons’ a cool new cover and we want your most glowing and flattering cookbook quotes for the back! Not only will the winning ‘quote-givers’ grace the new back-cover, Pieminister founder (and all-round nice guy) Tristan will personally bake your favourite pie recipe from the book, just for you! 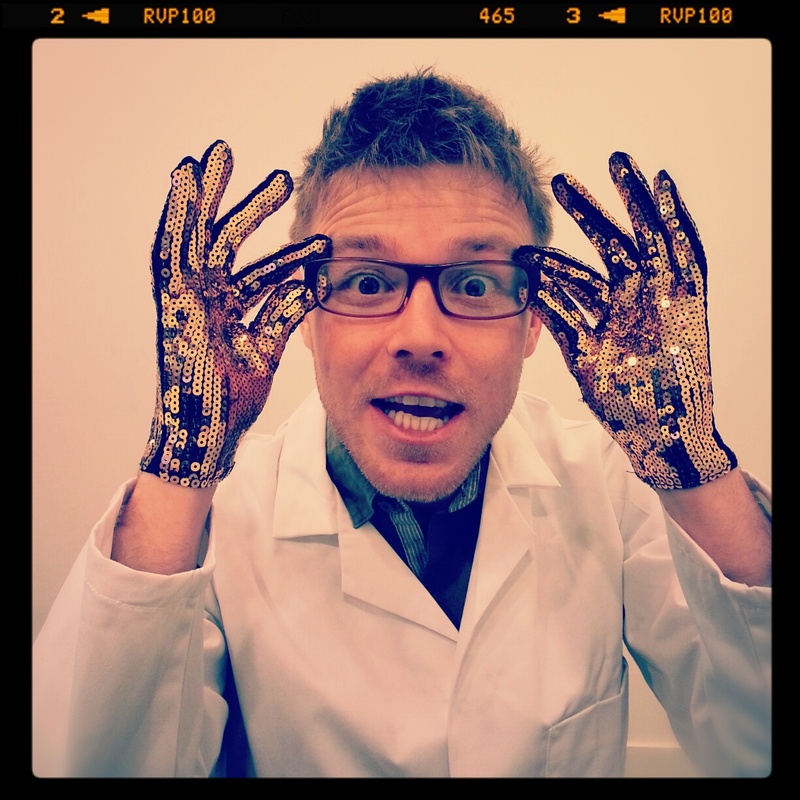 Pop in our FREE pie pop-up shop for a doodle night with Mister Mumbles on Wednesday 30 October from 7pm. But what is a doodle club? You rock up, in some fine trousers (or skirt). Mister Mumbles will provide some open-ended artwork that you can finish off with the art materials provided, while you slake your dratted thirst and hunger with a pint of West Country cider with an award winning pie! When you’re all done with a doodle, you can stick said doodle up on the Chalk Farm Road board. Congratulations…YOU have just created a work of art – hooray! And it’s FREE entry! Find us opposite London’s famous Stables Market in Camden on 21-22 Chalk Farm Road, London, NW1 8AG. 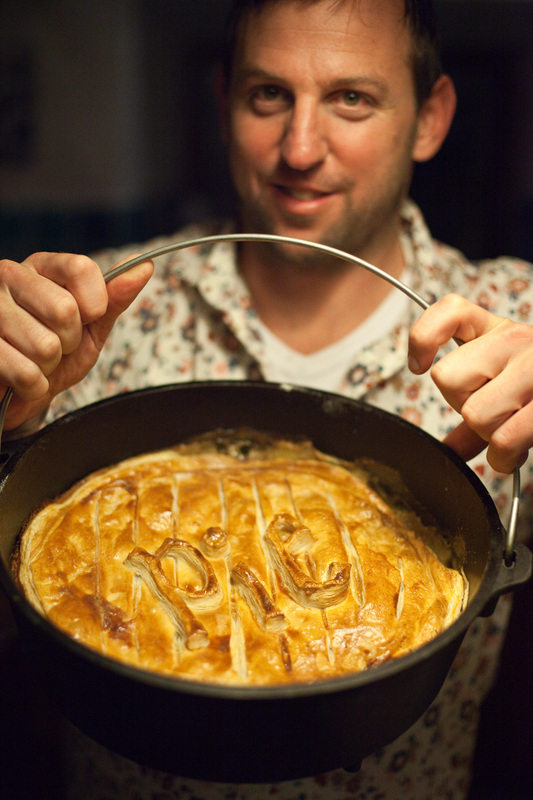 The Pieminister pop-up is open from 10am to 11pm from Tuesday to Friday until the 17th November. Every penny raised from food sales will go directly into the Cattle Drive fund for African development charity Send a Cow! 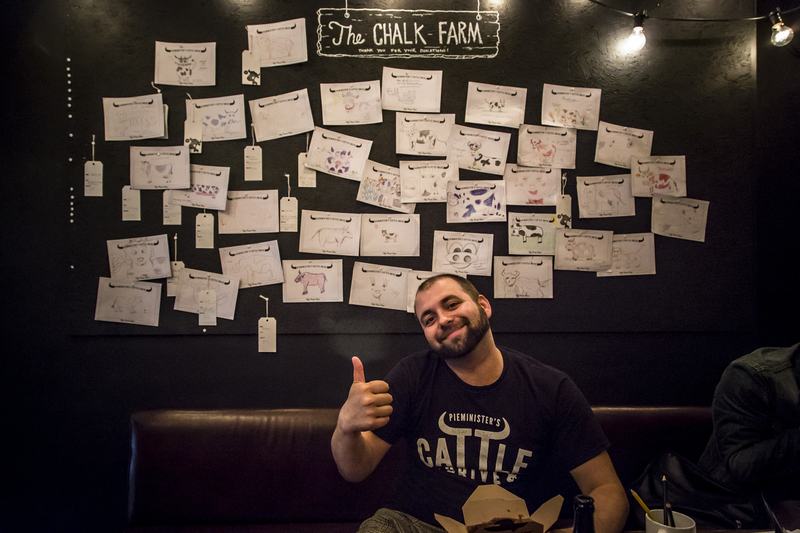 Find out more about Pieminister’s Cattle Drive here. Are you a Budding Picowso or Jackson Bullock? Look out for Prize Cow art-pads in our shops and stockists nationwide (coming soon) or download one here to enter for a chance to win. 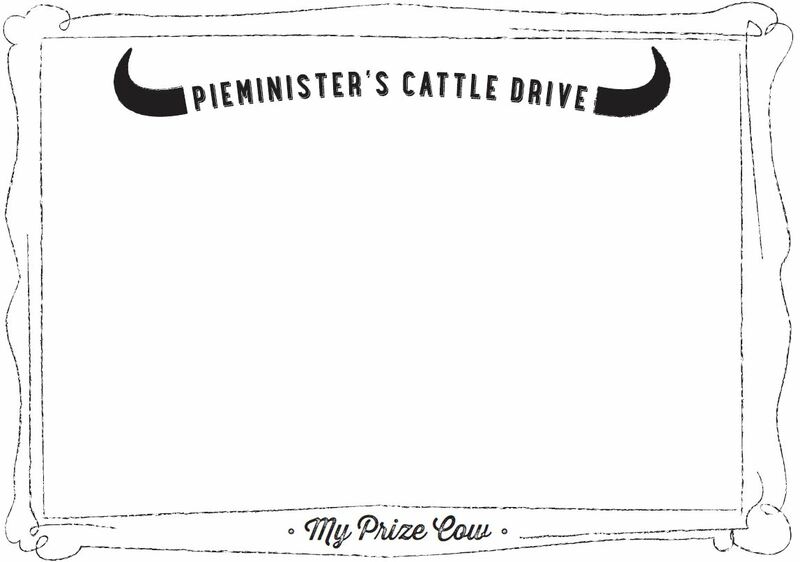 We’ll be sharing our favourite sketches and etchings on the Pieminister Facebook page so pie fans everywhere can vote for the winning prize cow (and 50 runner ups will get a super- cool Cattle Drive tee). Don’t forget to leave us with full name, phone number and email address with your cow drawing! Time to sharpen your pencils and get scribbling!